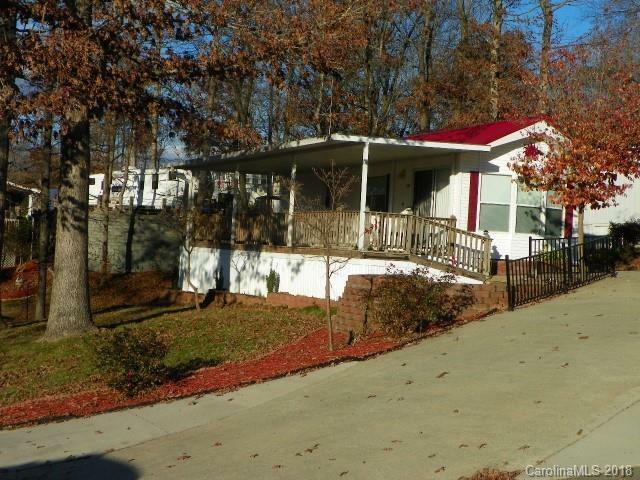 Really nice Park Model with great covered front porch, VERY well maintained. Corner lot, across the street from the lake, lake views year round. Walking distance to the Fishing pier and the sandy beach. New Metal roof 2018, /furn. and AC replaced 2005. Refrigerator has an ice maker (not connected). Concrete parking/driveway. Patio with drip irrigation in the summer only needs timer. Storage building with ramp. Has heat pump/central air as well as propane heat. Nice shade trees. Would be great for full time living or lake getaway! !